When searching for a coyote expert in Arcadia, be sure you do your research first! Lots of companies will try to sell a job with a cage trap in an attempt to effectively trap coyotes. Actually, coyotes are not responsive to entering a cage trap. And they can be difficult to trap if a seasoned coyote professional isn’t on the job. Coyote Snares: Coyote snares are my favorite coyote trap to use in Arcadia. 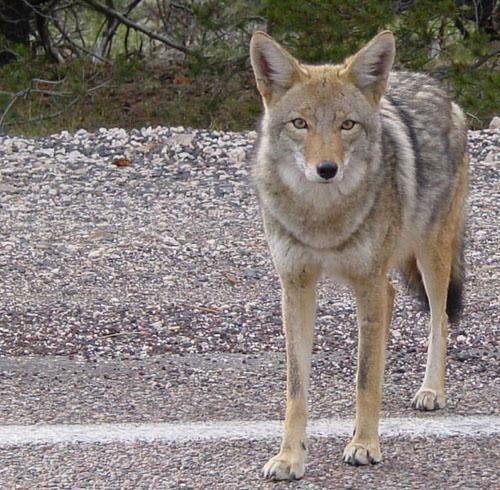 The coyotes are used to finding small holes in chain link fences and crawling under. Here is where we place a snare of cable with a locking device so after the animal goes through, it closes on its neck, and cant be loosened. The coyote dies very quickly, and domestic dogs are unharmed because they wont continue pulling when they feel the pressure. Dogs will be waiting patiently for the owner to return and cut the cable. Ive caught several dogs in snares, and never hurt a single one. If there is no fence on the property, we use foot hold traps. We need to be sure that no dogs will respond to the lure, as the coyote trap will cause bruising to there paw, and we are there to protect them, not harm them. so the use of foot hold traps in Arcadia is restricted to a few select jobs. We use lure that makes the coyotes thing they are being invaded by another pack of coyotes. They will try to mark oner the urine, and gland lures we use.